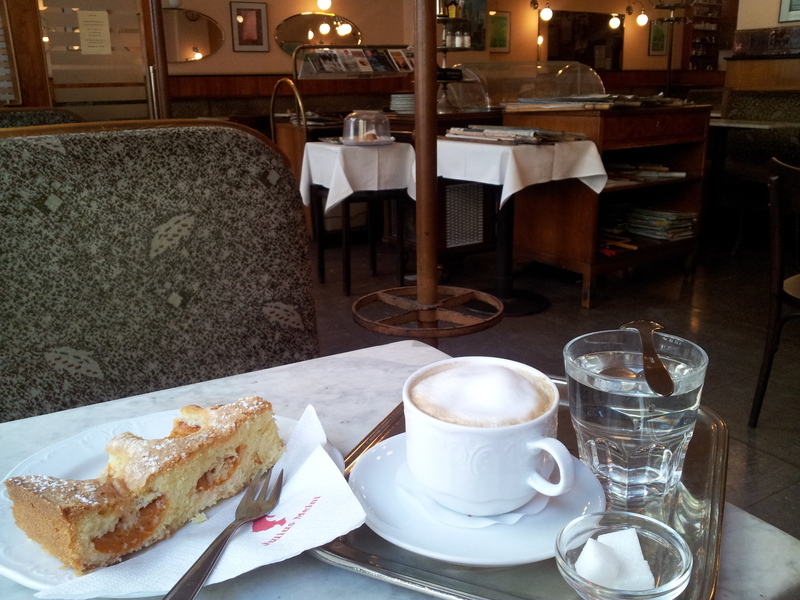 Here in the Café Bräunerhof you can expect to experience truly the Austrian Coffee House Culture (CHC) as it was in the old times. You can trace the famous Austrian-Dutch writer and playwright Thomas Bernhard who many Austrians still consider to be the most disputed critic of Austrian culture. 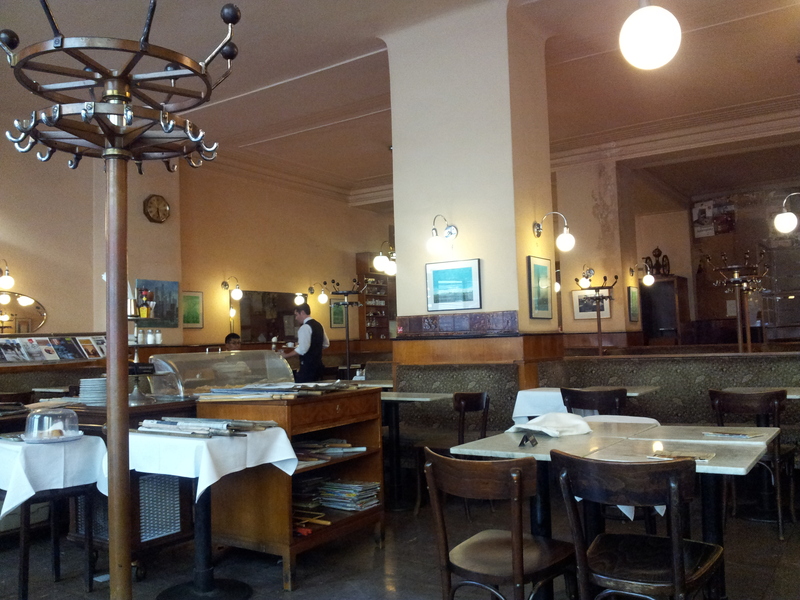 ￼You can sit here in the Café Bräunerhof in a Thomas Bernhard’s favorite coffee shop when he was in Vienna. You can feel how it must felt for him to read the news papers and to get upset of what you read and immediately write a critical note, critique or comment. ￼Above you see the typical reading collection of an Austrian philosopher, cultural critic or Austrian in the classical sense, as it was the legendary Thomas Bernhard for Austria. Unfortunately the Bräunerhof closes early at 20:30 / 8:30 pm (in the summer times at 19:00 / 7 pm) is keeping up with its traditions more than providing contemporary amenities, therefore plugs or even WiFi is something you search in vain for. 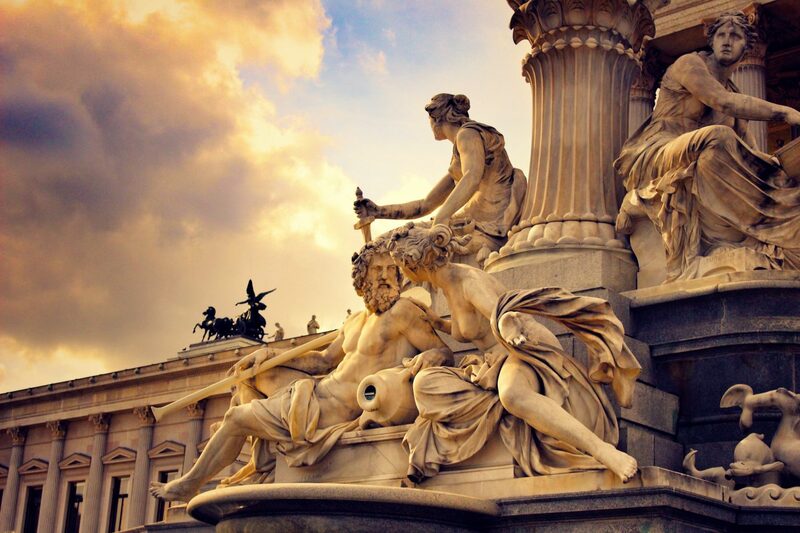 But to be honest these kind of modernity is nothing you search for when you head to the Bräunerhof, since it’s is among the 10+ most famous Viennese coffee houses. 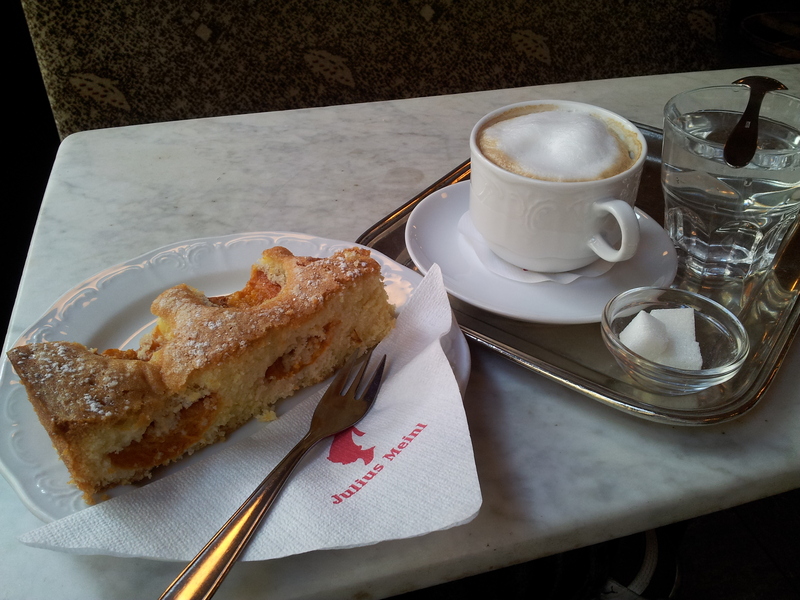 The Quality of the Marillenfleck (apricot cake) and the coffee (Wiener Melange) is very good, the waiter (Herr Ober) is friendly, the prices are reasonable and appropriate for Vienna’s most elegant 1st district. And the Bräunerhof is one of the few traditional Austrian coffee houses in which you get in touch with the Austrian culture and history the most, in a culinary way of course. So if you want to have a touch-down in the Austrian culture and want to get a feel for it, go with the Bräunerhof, located in the Stallburggasse 2, in 1010 Vienna, on your next trip to the city center.